There's so much biking goodness planned for the next four days here in Detroit, courtesy of the First Annual North American Bicycle Week. Here's a little post to let everyone know some of the happenings over the next few days. Head up to Palmer Park at 6pm for People for Palmer Park's inaugural ride of the year. Or head to the Boll Family YMCA at 7pm for the NoAm Launch, with speakers that include Todd Scott from the Detroit Greenways Coalition and Beth Savan from the Toronto Cycling Think and Do Tank. Wheelhouse will be open on the RiverFront 11 a.m. to 7 p.m.
Our friends at People to Educate All Cyclists (PEAC) are hosting a ride that takes off from the YMCA at 9am and American Cycle & Fitness will be hosting demos at Eastern Market from 1 to 5pm. Back Alley Bikes has a basic mechanic class at 3:30pm. Wheelhouse will be open at Eastern Market from 8am to 4pm and the RiverFront from 11am to 7pm. Plus, we'll have a booth at the Detroit Bike City EXPO at COBO Hall from 10am to 6pm. Wheelhouse will be offering an extra-special discount opportunity: Buy a $50 gift certificate for just $40. Buy a $100 gift certificate for $80. This can be used for service, retail, rentals or tours so, if you're thinking of booking a large group or buying a bike this year, well, this is simply an excellent opportunity! 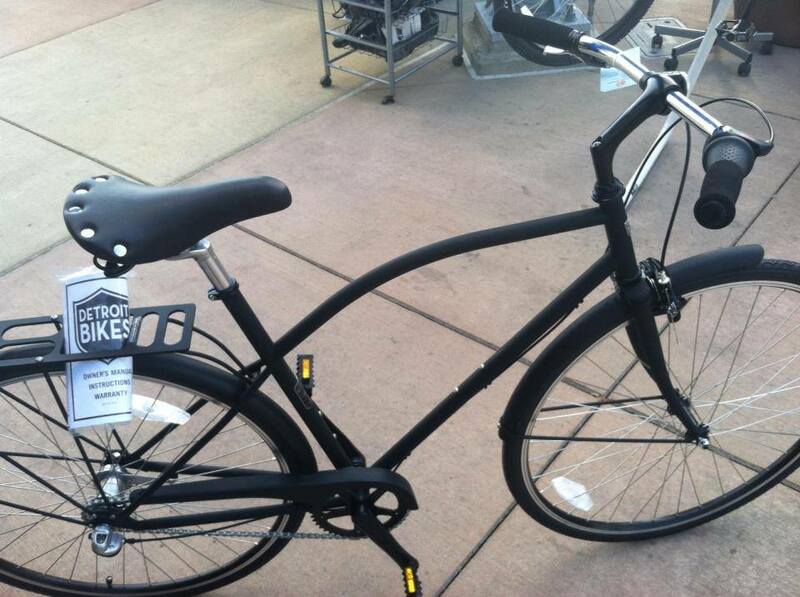 Wheelhouse is open from noon to 5pm at the RiverFront and we will be raffling off one Detroit Bikes A-Type bicycle! Entry can be gained to the raffle by making any purchase of $25 or more through March 28. Note: Gift certificate purchases made at the EXPO on Saturday are eligible for raffle entries. One entry for $50; 2 for $100. And, we're looking forward to the Alley Cat Race! It's at 4:30 and the meet-up is at Eastern Market Shed 5. More info here. Wheelhouse is open from 11am to 7 pm at the RiverFront. Last day to drop off your bike for a $35 spring tune-up special. Have a great weekend in Detroit! Any questions? Ping us at FB or Twitter or email info@wheelhousedetroit.com.